Name any major agricultural product and Texas is among the nation’s leading producers: Beef, cotton, dairy products, corn, sorghum, wheat, wool, sugar, fresh vegetables, poultry, pork, nuts and citrus. Agricultural production adds more than $100 billion to the Texas economy each year. There are a number of major agricultural production regions in Texas: Timber in East Texas, fruit and vegetables in the Rio Grand Valley, rice and row crops in the Coastal Bend, sheep, goats and dairy in Central Texas and livestock throughout the state. But the High Plains region of Texas stands out as one of the most productive areas in the world. The agricultural abundance produced in this region, from the Texas Panhandle through the South Plains, makes agriculture the dominant industry fueling the regional economy. An economic analysis of the Texas High Plains conducted by Texas Tech University and Texas A&M AgriLife Extension found crop production alone supported more than 103,000 jobs and generated more than $12.2 billion in economic activity in the region in 2010. Beef and dairy production, which were not part of the analysis, added significant economic impact. The money paid for those agricultural products flows not only to farmers and ranchers but also to businesses — and the employees of those businesses — such as banks that provide agricultural loans, dealers of equipment, seeds, fertilizer and fuel, electric and natural gas utilities and transporters and processors of agricultural products. That is the direct economic impact. But the workers in those agriculture-related businesses buy groceries, housing, vehicles, restaurant meals, clothing, hardware, theater tickets and much more in the local economy. All of that direct and indirect economic activity generates tax revenues that support schools and local services such as law enforcement, fire protection and road construction and maintenance. The amazing productivity of the High Plains is mainly attributable to the abundant but gradually declining water supply from the Ogallala Aquifer, the primary source of water for irrigation. According to estimates by the Texas Water Development Board, agricultural production consumes about 78 percent of all groundwater and 33 percent of all surface water used in Texas. Agriculture can continue to fuel the rural economy only as long as there are adequate supplies of water for food and fiber production. 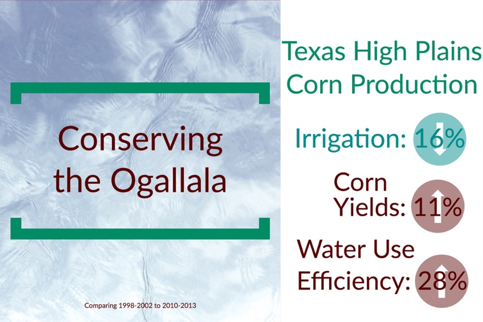 Over the past two decades, improvements in plant genetics, irrigation technology and conservation tillage have enabled Texas farmers to increase their water use efficiency to produce more food with less water. 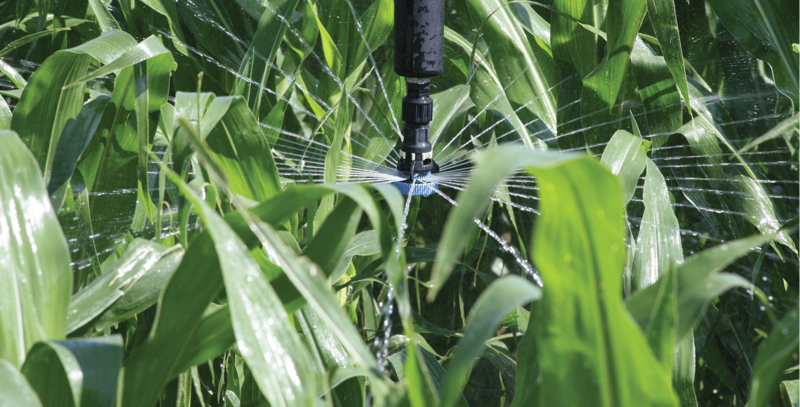 Because water is vital to the future of rural Texas, there is every reason to believe the emphasis on conservation and the gains in water use efficiency will not only continue, but will accelerate in the years ahead. No one has a bigger stake in conserving water than the Texas families who depend upon it for their livelihood. Talk to any farmer who grows irrigated crops in Texas and you are likely to hear the same message: I want this land and the water to be there for my children and my grandchildren.